For our RPC submission, we decided in order to retain the organic forms of the apertures and the general shape that 3D printing was the best solution. Using laser cutting would not properly convey the open face texture. The Cone tool under the surface tool bar in Grasshopper creates a cone in Rhino that you can change the height and the radius of the cone using the number slider in Grasshopper. The cityscape of Seoul mainly incorporates nature with surrounding mountains and the Han-river. 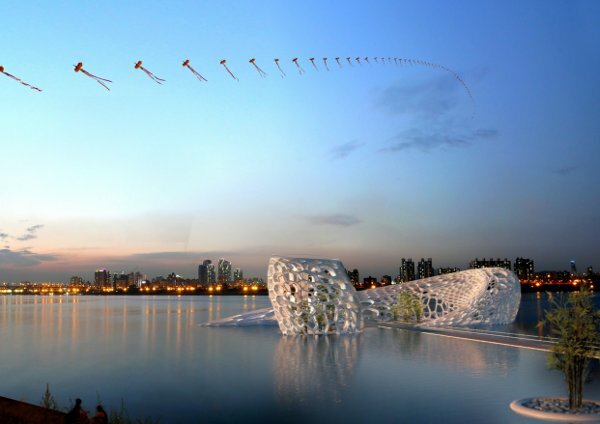 The Dancing Water Pavilion, designed by SUS&HI office (Calcagno Littardi A.A + Y.Park + Tomaiuolo) won the bronze prize at the Seoul Design Olympiad for its innovative geometry and its interaction with Seoul and the Han-river. 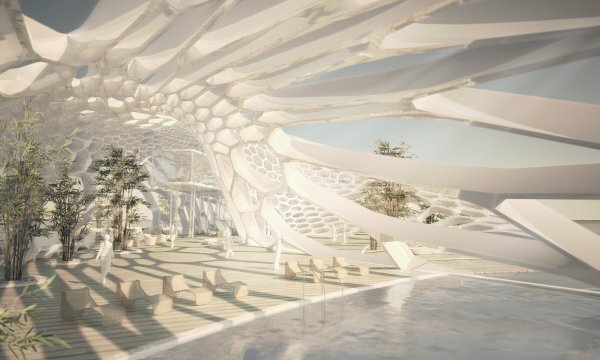 The form and location was inspired by the dynamic water energy created when water ripples interact with the wind thus being an open irregular form floating on the water. 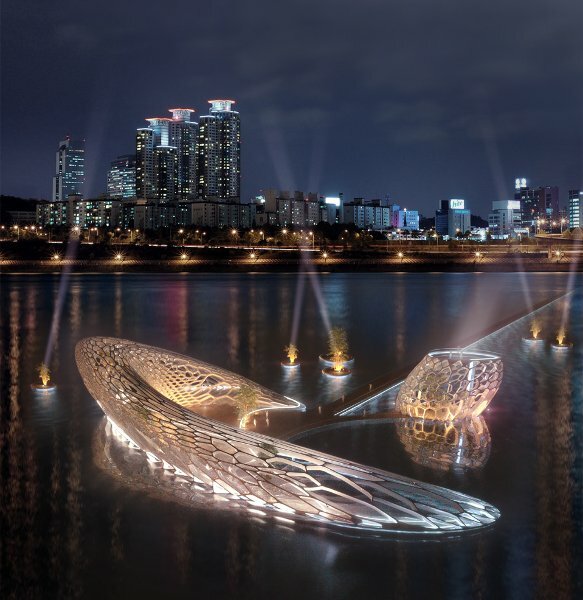 Also the open form creates dynamic lights and shadows throughout the day, while at night it illuminates, creating an icon for the city of Seoul. This proposal is intended as an open public space that is flexible for various functions such as concerts and exhibitions. Inside this pavilion consists of gardens, trees, benches and an open deck for panoramic views of the city. The interior openness of the pavilion creates a dynamic atmosphere while allowing the public to relax and create connections with nature inside the pavilion and surrounding Seoul.